Asymmetric division is the most important aspect of the biology of stem cells. Because of self-renewing asymmetric division, stem cells are able to maintain their population throughout their lifespan. At the same time, this type of division generates progeny that are committed to a differentiation pathway. While differentiated cells can be reprogrammed to re-initiate development (Campbell et al. 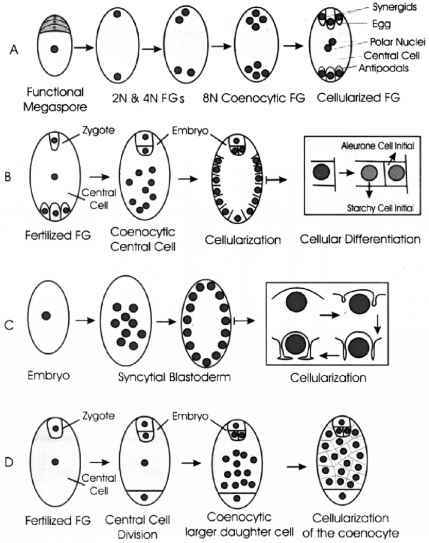 1996) or multi-potential cells can be induced to differentiate into various lineages (reviewed in Hall and Watt 1989), maintenance of a pluripotent stem cell state has been an intriguing and long-standing problem (e.g. Bhat et al. 1988; Tanaka et al. 2002; Golan-Mashiach et al. 2004; reviewed in Szutorisz and Dillon 2005). Questions such as how many genes are involved in maintaining a stem cell state or how self-renewing asymmetric division is regulated remain unanswered. Classically, stem cells are defined as cells that 1) are pluripotential or multi-potential (i.e., able to generate different cell types, 2) have the ability to self-renew and at the same time generate progeny that are committed to a differentiation pathway, and 3) divide throughout the life span. Some of the most common stem cell lineages include cells in the immune system, germline, skin, intestinal epithelia and brain (reviewed in Hall and Watt 1989). Embryonic cells are also considered stem cells although they do not exist as stem cells for the entire duration of the life cycle. With the demonstration that even nuclei from differentiated cells of an adult can be re-programmed to re-initiate development (Campbell et al. 1996; Cowan et al. 2005; reviewed in Hochedlinger and Jaenisch 2006), some modification of the above strict definition of stem cells may be in order. In any case, the most important function of stem cells is to generate tissues consisting of different cell types and to have a continuous replacement of those cells. This is achieved through self-renewing asymmetric divisions. The maintenance of a precursor stem cell state via asymmetric division can be viewed as a reductive process where the activities of some genes maintain this state in one of the two cells. Once these genes are switched off in the other progeny, that cell becomes committed to a differentiation pathway (c.f. Bhat et al. 1988). For example, treatment of embryonal stem cells or embryonal carcinoma cells with retinoic acid (RA) induces these cells to differentiate into neurons, and DMSO induces them to differentiate into muscle cells (c.f. Bhat et al. 1988). RA must be inactivating genes that would prevent differentiation of these cells; at the same time, it must be activating neuron-specific genes. DMSO must also be inactivating the same genes but activating muscle-specific genes. The other argument would be that RA is activating neuron-specific genes and DMSO is activating muscle-specific genes, thus forcing these cells to differentiate, and into specific lineages. However, several additional studies lend support to the scenario where activities of certain genes maintain an undifferentiated multi-potential state and inactivation of those genes is necessary for the cells to differentiate (Littlefield and Felix, 1982; Bhat et al. 1988; Williams et al. 1988; Ying et al. 2003). For example, a Differentiation Inhibiting Activity (DIA), also known as Leukemia Inhibitory Factor (LIF) has been identified in the immune system. This factor appears to maintain the undifferentiated state of embryonal stem (ES) cells (Williams et al. 1988). In the absence of this gene activity, the cells undergo terminal differentiation (Williams et al. 1988). Similarly, a recent study has shown that bone morphogenetic proteins act in combination with LIF to sustain self-renewal and preserve a multipotential state of (ES) cells (Ying et al. 2003). In one of our previous studies (Bhat et al. 1988) using a functional selection procedure in a mouse embryonal carcinoma cell line (P19S18), we had cloned several chromosomal loci that get inactivated following induction of differentiation into neurons or muscle cells. These loci contained enhancer elements with the POU protein binding sites. Consistent with these results, several studies have isolated POU genes that are expressed only in the undifferentiated cells but not in differentiated cell types. For example, oct-4 POU gene, which is expressed in pluripotent stem cells of the mouse early embryo, is turned off when these cells begin to differentiate (Rosner et al. 1990). In vertebrates, genes such as oct-4 and nanog (Chambers et al. 2003; Loh et al. 2006; Mitsui et al. 2003) appear to be part of the pathway indispensable to maintaining stem cell identity/capability. Similarly, SCIP is expressed in the progenitors of oligodendrocytes, but it is down-regulated when these cells are induced to differentiate (Collarini et al. 1992). 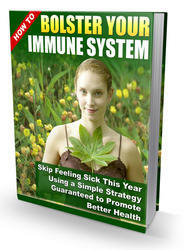 These studies reveal only so much as to what is necessary to maintain an undifferentiated stem cell state. The question, however, is how does the self-renewing asymmetric division potential of these stem cells regulated?